27.25H X 24.25W X 7.75D in. 24.5H X 18W X 2.75D in. 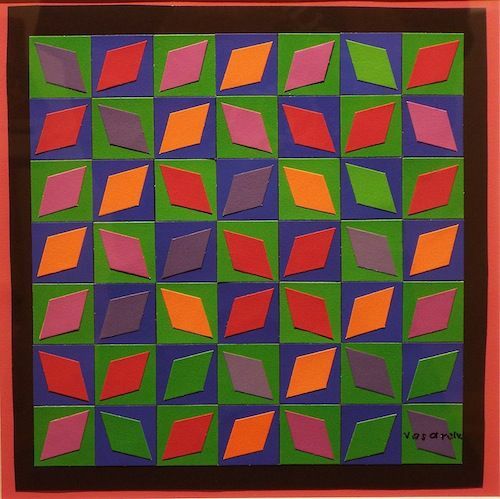 Born in the Hungarian city of Pécs, April 9th, 1906, Victor Vasarely is best known for his prominent role in establishing the art movement known as Op Art, or Optical Art. 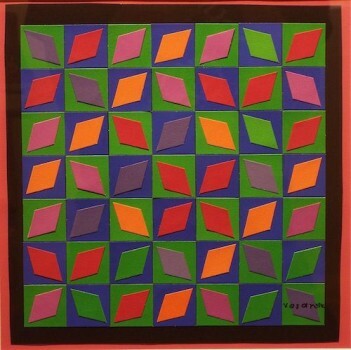 Vasarely spent his youth in Hungary before moving to France, where he spent most of his career as an artist. He died in Paris at the age of 90 in March of 1997. 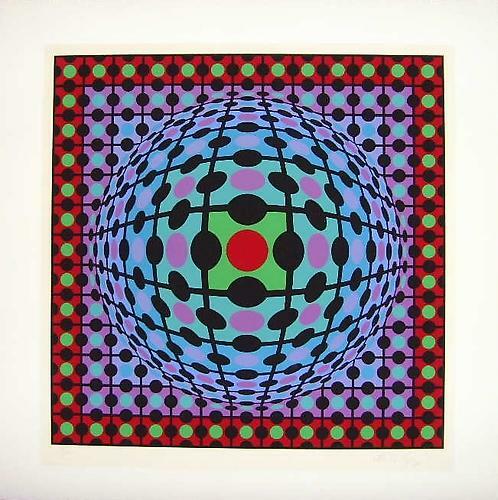 Art historians credit Vasarely with painting some of the earliest examples of Op Art. 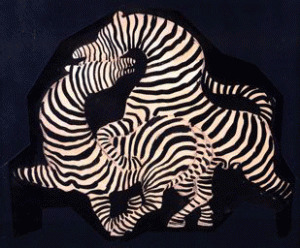 In fact, one of his most famous works, Zebras, was painted in 1937, decades before the establishment of the movement. 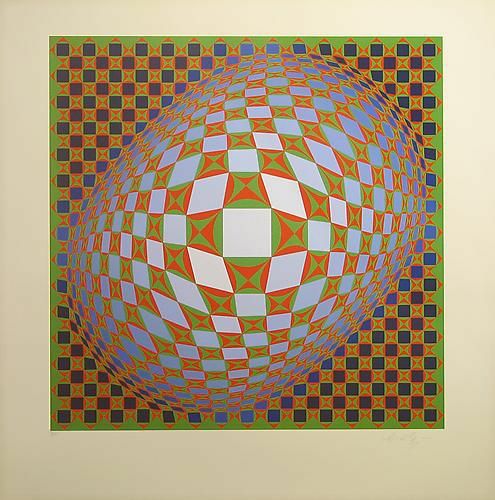 Early in life, Vasarely’s interests leaned toward the sciences. The artist chose Medical Studies as his focus at Budapest University prior to his making the decision to pursue art. 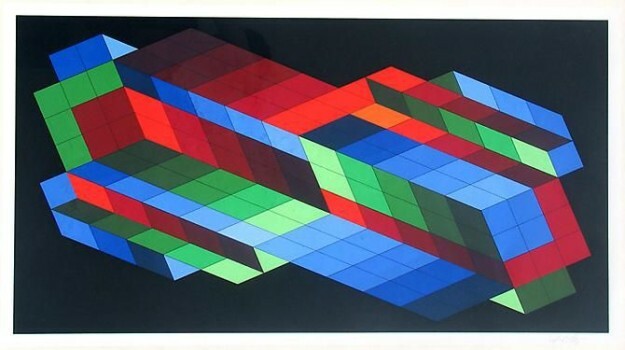 Indeed, Victor Vasarely works demonstrate the intertwined nature of the artist, intriguing us because they are indeed the merging of science and art − with the biological nature of the viewer’s mind providing the kinetic motion within the work. 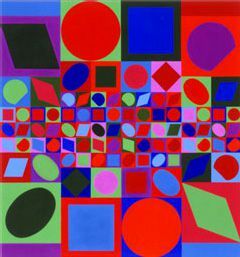 Vasarely’s formal art training included two years at the Muhely Academy in Budapest. 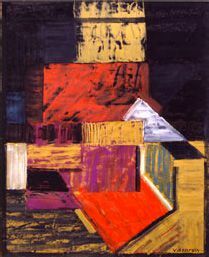 The artistic teachings of the Muhely Academy were based upon those taught and publicized by the Bauhaus school in Germany. 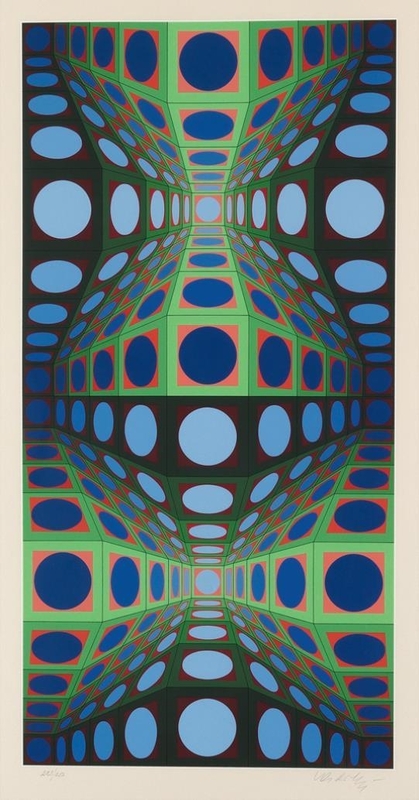 Revolutionary Bauhaus concepts that have left far-reaching and indelible imprints on architecture and design around the world can also be recognized within the geometrical works of Victor Vasarely. 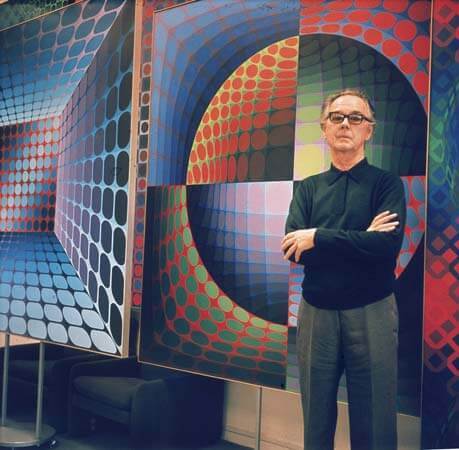 Over the next handful of years, Vasarely was once again on the “right track,” embracing the style that was to become more definitively his. 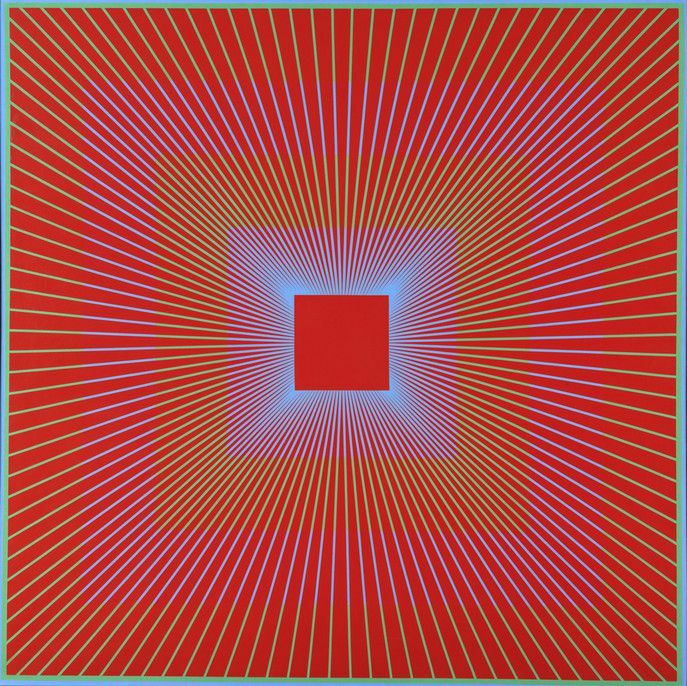 It was during this period, that the artist created Op Art works directly inspired by local geographical influences. Summer vacation at France’s Breton coast inspired his Belles-Isles works, and intrigue with wall tiles at the Denfert-Rochereau metro station in Paris led to his Denfert works. 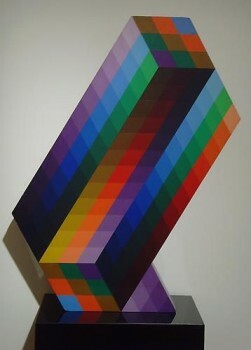 Vasarely’s 1950’s work was dominated by his black and white kinetic paintings. Undoubtedly, the Victor Vasarely black and white linear compositions and checkerboard manipulations from this era helped fuel the Op art movement, and they continue to serve as iconic representations of the artist’s form. 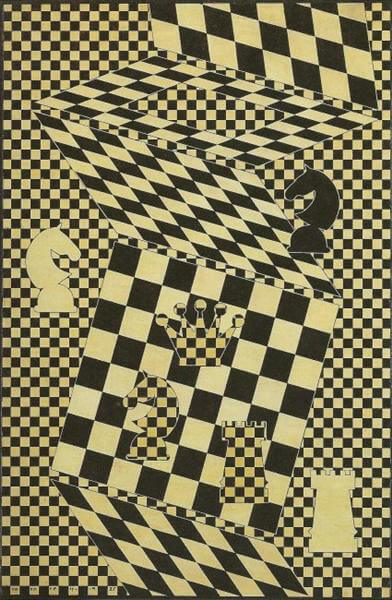 In 1955, Vasarely published his “Yellow Manifesto,” for which he received the critics’ award in Brussels and the Gold Medal at the Milan Triennial. 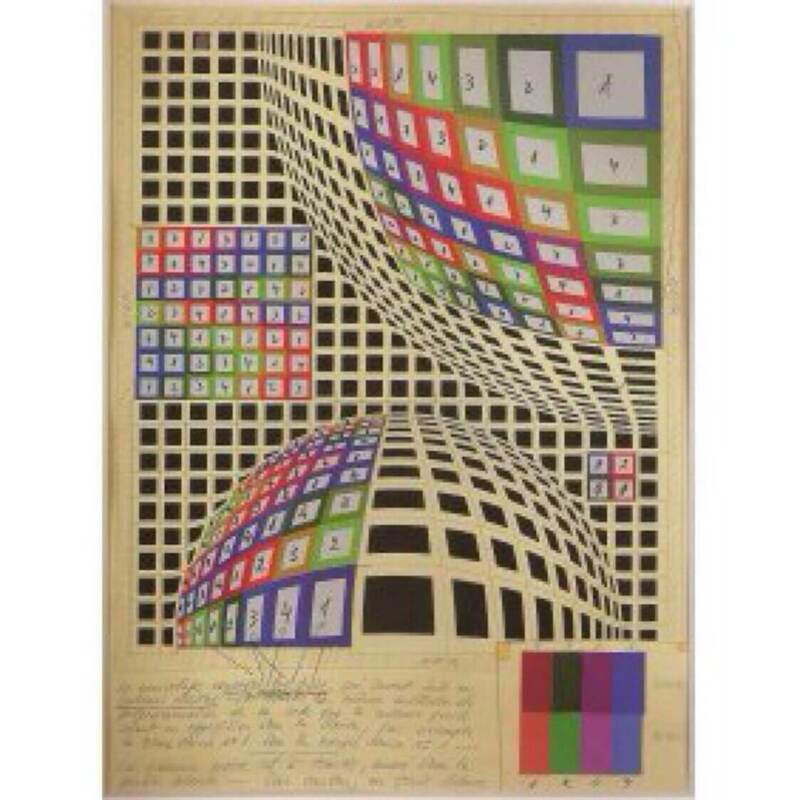 Folklore planetaire is the name of the palette that Vasarely presented to the public in 1963. 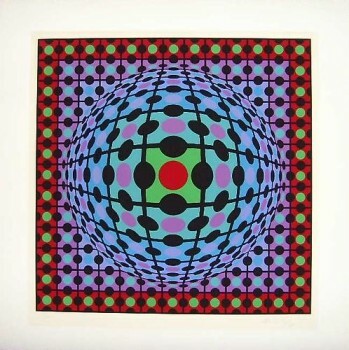 It was in 1965, when Victor Vasarely was included in the Museum of Modern Art’s exhibition, The Responsive Eye, that the artist’s popularity skyrocketed. This is the time when Vasarely became widely considered a seminal figure in the Op Art movement. 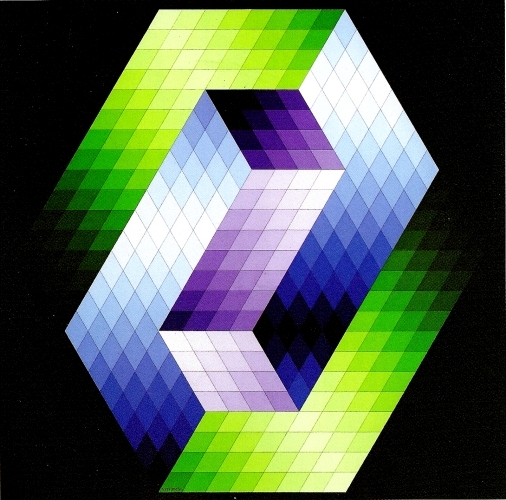 Throughout the 1960’s and following two decades, Vasarely’s optical illusion works included those within the artist’s famed Tribute to the Hexagon (Hommage à l’hexagone), Vega and Gestalt series of works. Two Vasarely museums have been established in Victor Vasarely’s homeland of Hungary. One opened in 1976 in the artist’s birthplace of Pécs and the other opened in 1987 in Zichy Palace, Budapest. 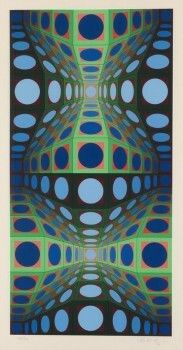 Victor Vasarely studied medicine before he studied art. His initial art education, in Budapest, was very traditional, but his scientific mind led him to experiment with colors and optics. 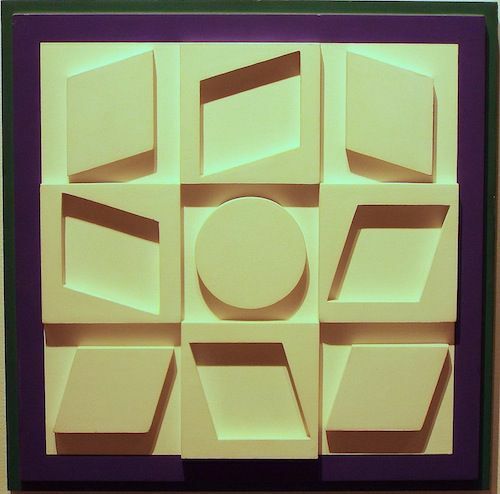 Victor Vasarely, who believed that, “The art of tomorrow will be a collective treasure or it will not be art at all” would have been delighted by the current exhibits of his work in Turkey. Vasarely used the Alphabet Plastique to create the depth and optical design that is the signature of his artworks. 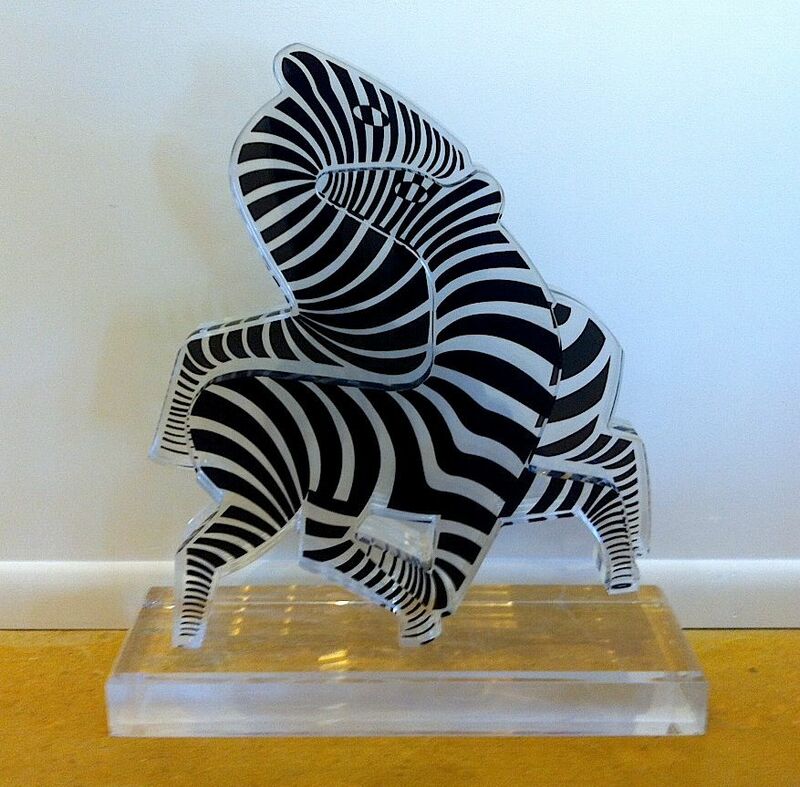 At Vertu we have for sale, two unique pieces that use the Alphabet Plastique with unusual mediums. Artists have been translating their visual perceptions of the three-dimensional world onto flat surfaces for about 40,000 years, the time of the earliest cave paintings. Most of us are used to viewing our world in a linear fashion.